Former Goldman Sachs CEO Lloyd Blankfein has said he has "no recollection" of meeting corrupt Malaysian financier Jho Low. Maybe this will jog his memory. Following reports published earlier this month that Blankfein attended two meetings with Low - an "introductory meeting" in 2009 and another meeting at the Mandarin Hotel in New York in 2013 with about 20 other Goldman bankers (now-jailed ex-Prime Minister Najib Razak also attended these meetings) - the New York Times on Thursday published a report revealing that Blankfein's involvement in securing 1MDB's business for the bank was even deeper than previously believed. Back in December 2012, when the bank was still struggling with the legal fallout from its predatory sales of mortgage-backed securities during the run-up to the financial crisis, Blankfein met privately with Low at Goldman's headquarters in Lower Manhattan, according to three anonymous sources purportedly familiar with the details of the meeting, the NYT reported. The meeting occurred after the bank's compliance department had already objected to involving Low in any of its business dealings. Of course, nearly six years later, Low is now international fugitive, accused of being the mastermind in a multibillion-dollar fraud involving a Malaysian government investment fund. Needless to say, this is problematic for the recently retired Blankfein, who left the bank on Oct. 1, coincidentally just one month before the DOJ started handing down indictments to Goldman bankers, one of whom has agreed to cooperate against the bank). Why? Because it undercuts the bank's PR line that the bribes paid in furtherance of a massive money laundering scheme were the work of a handful of "rogue employees." The meeting was described as a "one-on-one" sitdown between Blankfein and the corrupt Malaysian banker, who reportedly played a central role in bribing officials in Malaysia, Saudi Arabia and the UAE. 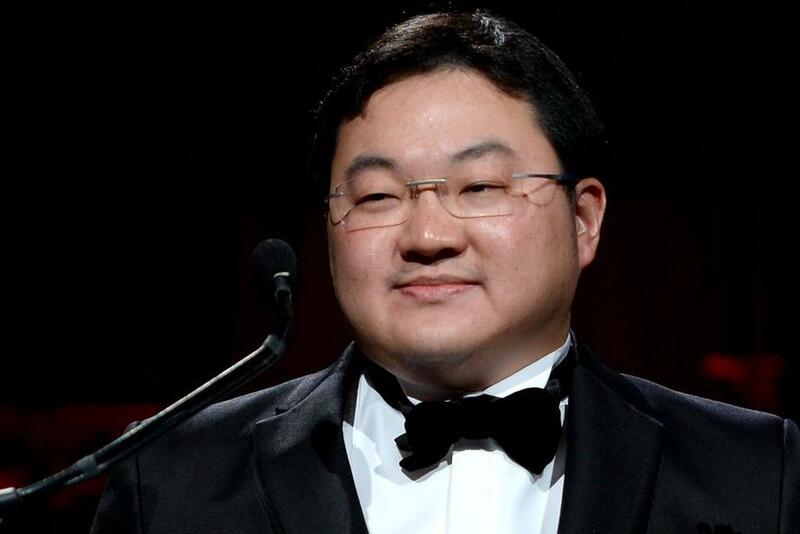 Prosecutors in Malaysia and the US are looking to indict Low for his involvement in the fraud. The banker is currently on the run, living in an undisclosed location while he wages an expensive PR campaign to clear his name. A PR rep for Blankfein confirmed that he did meet with Low, but that the meeting in question wasn't one-on-one. Instead, the spokesman said Mohamed Ahmed Badawy Al-Husseiny, the head of an Abu Dhabi investment fund that is now suing Goldman over its involvement with 1MDB, also attended the meeting. A Goldman spokesman, Jake Siewert, said that Mr. Blankfein had a meeting with Mr. Low on Dec. 14, 2012, but that it was also attended by Mohamed Ahmed Badawy Al-Husseiny, who ran an Abu Dhabi investment fund, Aabar. "Mr. Blankfein had an introductory, high-level meeting in December 2012 with the C.E.O. of Aabar, which was an existing client of the firm," Mr. Siewert said. "At Aabar’s request, Mr. Low accompanied the C.E.O. to that meeting." In the three years between the 2009 and 2012 meetings with Low, Goldman's compliance department raised multiple red flags surrounding the source of his mysterious wealth. However, Blankfein's staff ignored these warnings. In the three years before the 2012 meeting, the bank’s compliance staff had repeatedly rejected Mr. Low’s attempts to become a Goldman client because it was unclear how he had amassed his wealth. But when Mr. Blankfein’s aides sought information about Mr. Low in preparation for the meeting, a senior investment banker in Asia praised Mr. Low and did not mention the compliance concerns, according to a person who has reviewed internal Goldman emails about the meeting. Nor did the compliance red flags stop the bank from doing extensive business with 1MDB, which Malaysia’s prime minister had set up in 2008 ostensibly to invest in infrastructure and other projects to improve Malaysians’ daily lives. Goldman ultimately helped 1MDB sell more than $6 billion in bonds to investors, earning about $600 million in fees. Goldman’s internal compliance team, known as the business intelligence group, had repeatedly blocked Mr. Low from opening an account with the bank’s elite private client group, citing concerns about the source of his money, according to court documents filed by federal prosecutors. The compliance team also identified Mr. Low as someone Goldman should avoid working with on any 1MDB transactions, according to the court documents. What's more, Low's name didn't appear on any of the three bond deals that Goldman secured for 1MDB. But according to Tim Leissner's plea agreement (Leissner is the former Goldman Southeast Asia chief who purportedly spearheaded the 1MDB deals), it was widely known - including, apparently, by Blankfein himself - that Low was a "key intermediary" in all three deals. The Times also reported details about the efforts of one former Goldman executive, David Ryan, to stop the 1MDB deals over concerns about corruption and oversight. However, Goldman, which had long been weaker in Asia than many of its rivals, pushed ahead, and Ryan was overruled by Blankfein and senior Goldman executive Stephen Scherr, who is now the bank's chief financial officer. Goldman eventually completed three bond deals for 1MDB worth $6 billion. Because of the "high risk" associated with the deals, the bank collected 10% of the total amount in fees - some $600 million. The bank underwrote two bond offerings in 2012, and another in 2013. If nothing else, Blankfein's involvement makes two things clear: that Morgan Stanley raised a good point when it said in a downgrade of Goldman this week that investors should stay away from Goldman shares, because, as of now, it's impossible to tell how deep this scandal will cut, and until the dust settles, the risks associated with Goldman are just too great. Bankfein's involvement also laid bare the hypocrisy in CEO David Solomon's faux "outrage" over 1MDB. Solomon claimed that this incident wasn't representative of Goldman's culture. But culture is set from the top down. And if the CEO was willing to okay these deals over the objections of the bank's compliance department, then what does that say about the "culture of corruption" alleged by Leissner?